While the Nigerian blogosphere is agog with talk of the supposed break-up of Mo’hits Records as Don Jazzy and D’banj squabble over dividing the baby that is the American breakthrough, we all seem to be forgetting the Solomon in the whole debacle: King Kanye himself. For the last 15 years countries like Japan, China, Thailand, and the Philippines have been addicted to the billion-dollar industry nicknamed the ‘Hallyu wave’—the constant deluge of pop culture (music, television and movies) from South Korea. The success of K-entertainment has been so great that it has even been embraced by the Korean government as part of their “soft diplomacy” arsenal. Sound familiar? That’s because the Nigerian entertainment industry has followed a similar trajectory, spreading Nigeria far across Africa and beyond, and creating an acceptance of our culture that 419ers, drug dealers, European prostitutes, and our dearest Foreign Affairs office have worked so hard to undermine. Like the Hallyu wave, Naija entertainment has even caught the eye of the West, with designers, filmmakers, and music producers—including the legendary Kanyeezy—knocking on our doors curiously. Parallels, they are many. Where is all this going? Well, In 2010 Kanye West acquired his very own South Korean protégés, the group JYJ—a splinter cell from the biggest boy band in Asia. It caused unbelievable excitement for foreign and local fans of Korean pop (K-pop) because it seemed to signal the rise of K-pop in the holy grail of music markets: The United States of America. As one of the biggest producers in the last 10 years and hot off his ‘My Beautiful Dark Twisted Fantasy’ success, the collabo was supposed to be HUGE. What ensued was an embarrassment to all. Mr. West only produced a single track, on which he rapped a half-assed, absolutely craptacular intro, and the track itself should have been consigned to be buried so far under a rubbish heap that it would take a thousand years to dig it up. Called ‘Ayy Girl’ (watch the epic disaster here), the song nearly destroyed JYJ’s nascent career, and they had to take a hiatus to regroup before coming out with content they wrote and produced themselves—which was infinitely better than the hot mess that Kanye handed over. Bitter does not begin to describe the reaction that many fans felt; Kanye turned out to be fool’s gold. Now, Kanye has reached into Nigeria and plucked juicy fruit from our trees. So for all out there pinning their hopes on the legendary Kanye to send their careers into the world-stage stratosphere, forgive me if I am a little sceptical of his benevolent genius doing wonders. He is currently 0 for 1 in his foreign forays in music, and I may be wrong, but I don’t think he cares enough about this part of the world to really put his energy into it. He hasn’t visited our fair shores yet, and apart from a few random tweets, he certainly doesn’t seem like someone who is taking his time to know and understand the artist’s (whom he will supposedly be creating music for) context. Nigeria may be a cultural force but monetarily, we are a drop in the buckets of money Kanyeezy is currently swimming in, and as such, we are irrelevant. I may be wrong; ‘Ye may yet connect with us on the organic (read: blackness) level, rendering travels and travails unnecessary. In the end, all I can do is wish D’Banj and Don Jazzy the very best of luck—they are really going to need it. They just might be giving up the bird in hand for the ephemeral two in the bushes. Dis is absolutely rduciilous. How can he change his origin just under a space of bearly 6years. Its unbelievable cos Don Jazzy has done so much for d Mohits crew. father's house with his left hand?In Other words u re discouraging other mngs/producers over d uiocmpng artistes.God used Don Jazzy 2 dust u up,& made u what u re 2day.Never pay good deed with evil.D truth is dat Don J owns Mo'Hits Records. Hey if Dbanj claims he owns month hit, he owns it if Don jazzy say the shnetaimg so be it, that they are about splitting doesn't mean one or the other is heading for destruction, Don jazzy is a great producer and D banj is a great musician, so if they chose to go their separate ways so be it. Stop saying one or the other is heading for destruction..pls let's be reasonable with our comments.. I agree with the write up. It's disheartening that the Mo Hits duo cannot see beyond the simple fact that they are accessories; merely trophies to be bandied about. They're toys to Kanye and he's only going to brag to fellow rappers about his African acquisitions. When the world gets bored, however, of listening to the same old, tried, tested and failed braggadocio from the infamous rabble rouser himself- Taylor Swift incident, anyone?- he'll discard D'Banj and Don Jazzy faster than a mic on a bad day of performances. @Adesola. Thanks for the reply. The sub title explains a bit further I hope. Hi, gulfrich. What did you disagree with? Now this is more like it….some positive write up on this heart breaking saga! 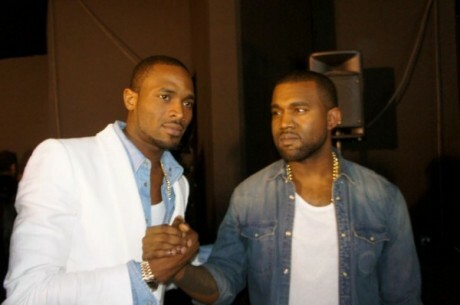 Your write up has the wrong premise, Kanye is not working with D'Banj to bring Kanye into the Nigerian market , he is working with D'Banj to bring D'Banj into the international market. Same cannot be said about his Korean foray. Hi. Thanks for the reply. Kanye still has to understand the artist's cultural context in order to create music that bridges that gap between local and international. In that sense, he still has to make music for Nigerians that the international audience likes. Or you don't agree?